If you have logical or physical models in ER/Studio Architect, erwin, PowerDesigner, or others, you may want to import them into Hackolade. To do so, you need to first export your model to an XSD schema. Please refer to your ER tool's documentation for more info. 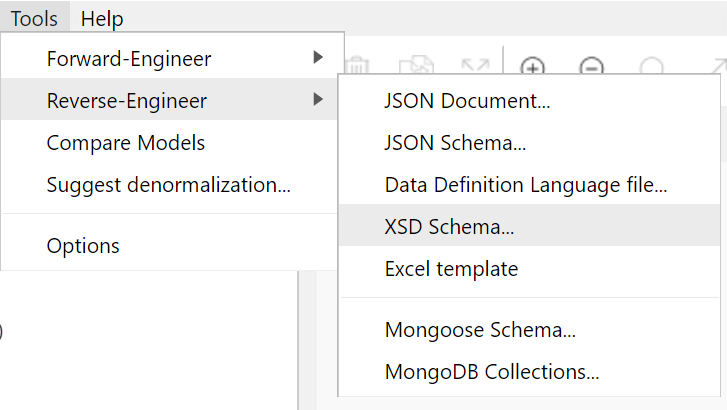 Then, go to Tools > Reverse-Engineer > XSD Schema and choose the file exported. Your next steps might be to start denormalizing and embedding, using this Hackolade function.